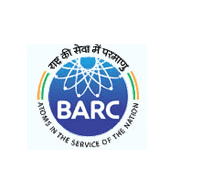 Bhabha Atomic Research Centre Recruitment Notification 2018.BARC inviting applications for the positions of Group- A & Group-B.Interested and Eligible candidates can apply for the positions. XII standard and diploma in nursing & midwifery qualified candidates can apply for Nurse post. B.Sc holders with 50% marks can apply for scientific assistant post. MDS/ MS/DNB/MD holders from a recognized university can apply for Medical/ Scientific Officer/D post. Selected candidates as Medical/ Scientific Officer/D will get monthly pay of Rs.67,7000/- and other allowances. Mode of applying for BARC Notification 2018 is through online mode. The online portal link will be active from 10th September 2018 to 10th October 2018.
http://www.barc.gov.in is the link for candidates to apply.